Exercise and sport professionals are not insured to prescribe specific dietary plans for individuals presenting with any medical conditions. Once a client is found to be at risk of a cardio-metabolic condition or has a known medical condition, they are instructed to see a dietitian if they require a diet plan or dietary advice. 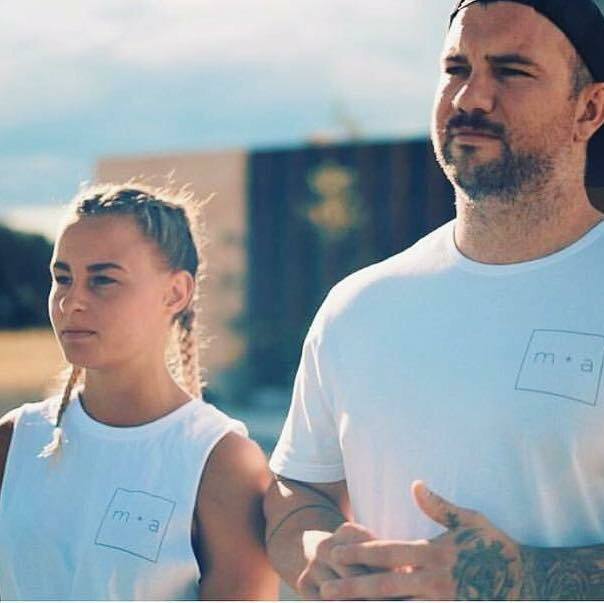 However, in cases where a client is risk stratified as being apparently healthy, exercise and sport professionals have the opportunity to provide their client with general dietary advice to assist with their training goals. Findings from the latest research show that structured dietary interventions have a much higher success rate than general dietary guidelines for altering body composition. This professional development opportunity provides the latest evidenced-based and practical nutritional guidelines for personal trainers, exercise physiologists and sport scientists for healthy populations with weight loss and body composition goals. The content covered will provide exercise and sport professionals with the skills and knowledge to design safe and effective diet plans for healthy adults. As such, allowing them to prescribe less generalized diet plans for healthy clients to assist with their exercise goals. 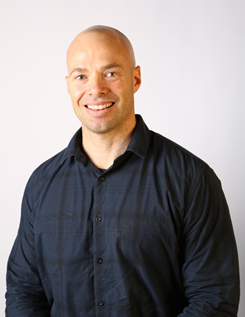 Dr Daniel Hackett is an accredited exercise physiologist as well as a Lecturer at The University of Sydney in the Bachelor of Exercise Physiology. He is also an international researcher in exercise physiology and sports performance with over 30 peer-reviewed publications. As such, he has experienced and received feedback from students about the issues related to confidence with providing dietary advice for clients/patients that are apparently healthy. 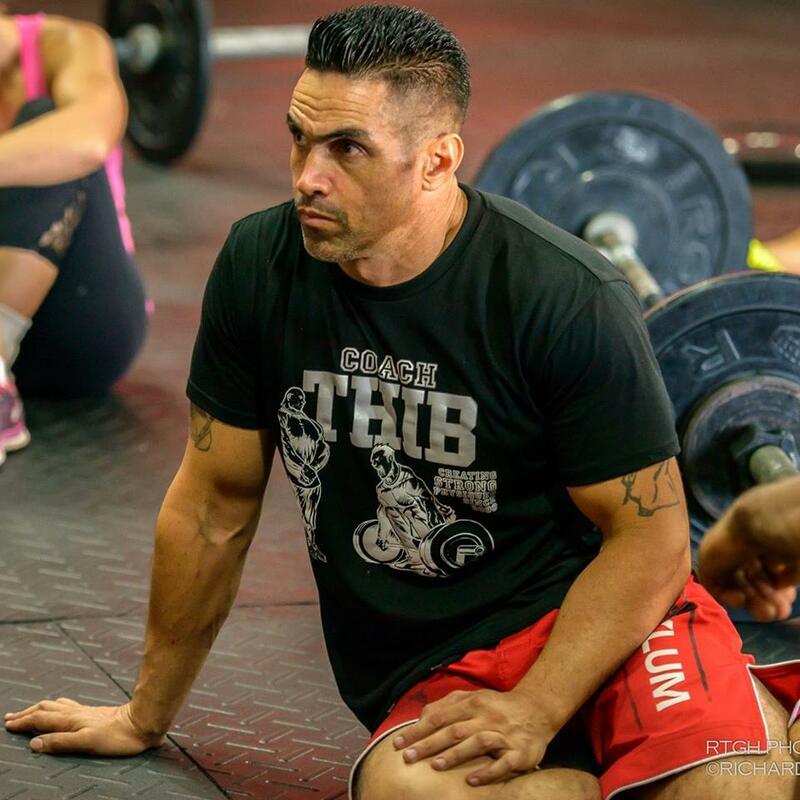 Stefan Ianev is the founder of iNutrition Pro and a globally recognized trainer and educator. He has over 15 years industry experience and has worked with hundreds of clients all the way up to international level physique competitors, and lectured to over 1000 fitness professionals in over 10 cities across the globe. Stefan has also been mentored directly by some of the top names in the fitness industry such as Charles Poliquin, and has won numerous titles in natural bodybuilding. The first time I met Stefan was when I attended one of his courses and it was my first introduction into evidence and scientific based training and nutrition. Up until then I got fairly good results with my clients and myself but the course he delivered was far more than i expected and far more valuable than i could imagine. Stefan manages to take complex scientific principles and conveys them in a way that can both be learned and then applied immediately to clients. I've never considered myself much of an academic until that course and it's only because of the knowledge and application that Stefan delivered to me through that course that it ignited a passion for learning that I never knew existed and that in turn has made me persistent in my pursuit to become a highly sought after coach and future educator. Even though the course was extremely informative, I felt like it was the tip of the iceberg as to what i could learn from Stefan. I opted then to begin mentoring under his guidance and as I expected, he has passed on a wealth of knowledge not just for training and nutrition but for developing my business and brand as well as how to cope and identify a fault in my current and future mindsets. One of the biggest impacts he had on me was improving my mentality towards business and life and till this day i still use the information and advice he gave me. 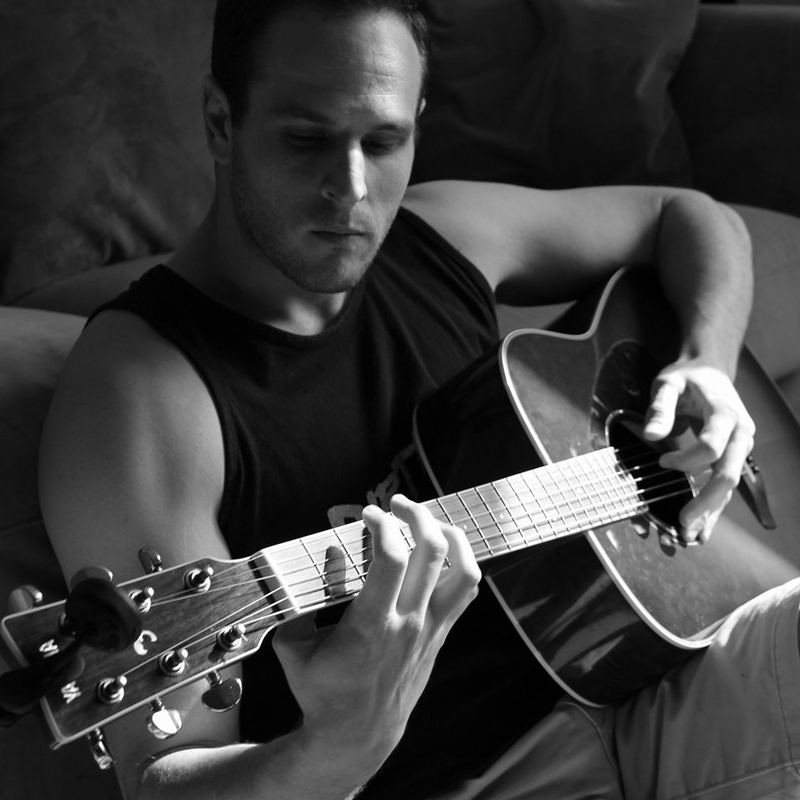 He met me as a regular PT with limited knowledge, application and business strategy. Nearly one year later and i now train other coaches at my current gym, conduct team training sessions with our PT's and i am now a requested coach within our gym for nutritional troubleshooting. Because of how Stefan delivered the course and training sessions, it fuelled me to pursue that standard of coaching as well as inspire me to begin writing my own ebooks or guides for training and nutrition and in the future, start delivering seminars as well. Stefan is not only someone i consider a coach. He has shaped my mind, knowledge and business sense and he is someone i highly respect and look up to. I consider him to be a strong role model for anyone looking to improve their business, coaching, knowledge and quality of life. "I first came across Stefan after listening to a podcast he was on and remember thinking “this guy knows his stuff”. After inquiring further and speaking with him, he informed me he has a nutrition course on-line factoring in what he taught at Clean Health Institute. Given I had already heard him speak I knew this would be a valuable course to do. I enrolled almost immediately and was so glad I did. The course is set out with easy to follow video clips, and broken down into a number of key subjects. The content is like no other nutrition course I have encountered all supported by evidence, which are quoted. The level of detail was simply unbelievable – so much so a friend of mine who has completed a degree in nutrition now comes to me for advice on nutrition for body composition. The INutrition Pro software makes planning and putting together a diet plan a breeze. The numerous templates are a great tool to have depending on your client and everything is then calculated for you. Once you become familiar with it, it takes a matter of minutes to put together a plan. I highly recommend both the course and the INutrition Pro software – great course content with no more messy Excel spreadsheets." 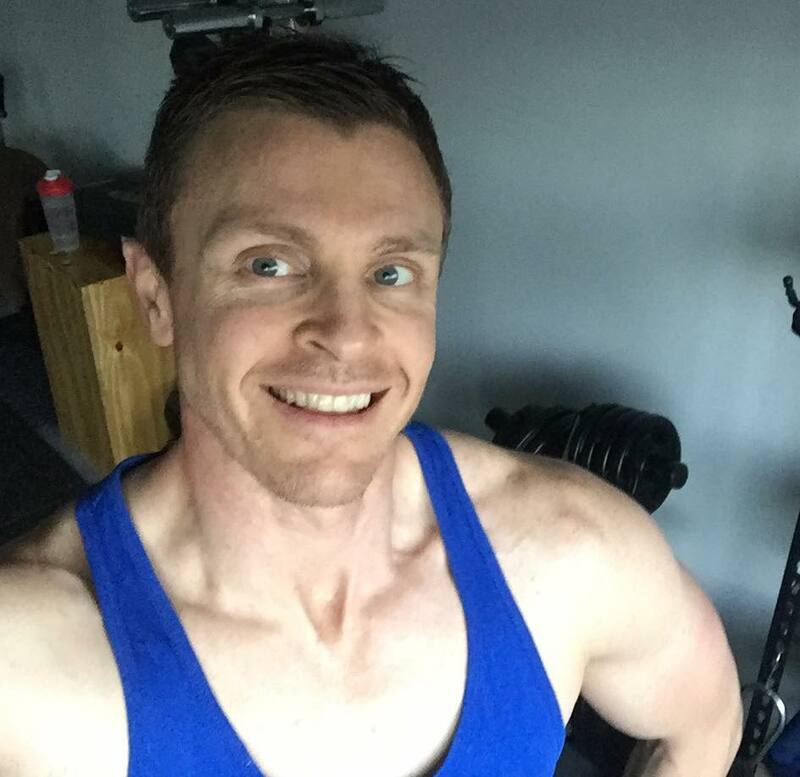 "I cannot thank Stefan enough, not only for what he has done for me on a personal level, to help me achieve my goals, that at times seemed unachievable but for the guidance and advice he has given me to grow as a personal trainer and by the amount of time he put into help me complete the iNutrition Pro online course. By completing the online course, I have been able to increase my business revenue by 30%. 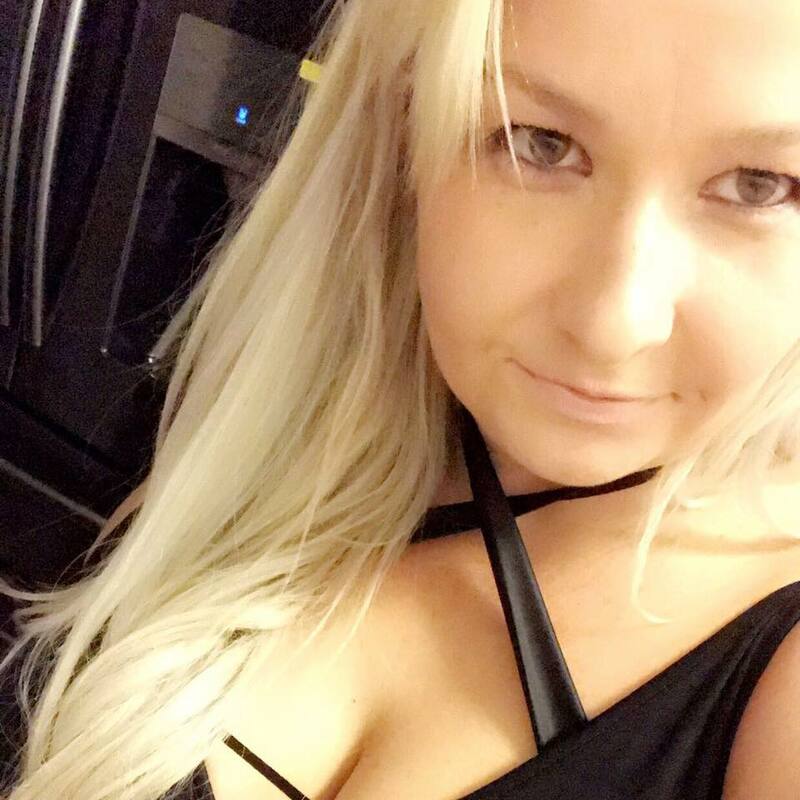 My clients are all so excited about new service I can offer and I’m sure they will start to see even bigger results now the guess work is gone from their diets. 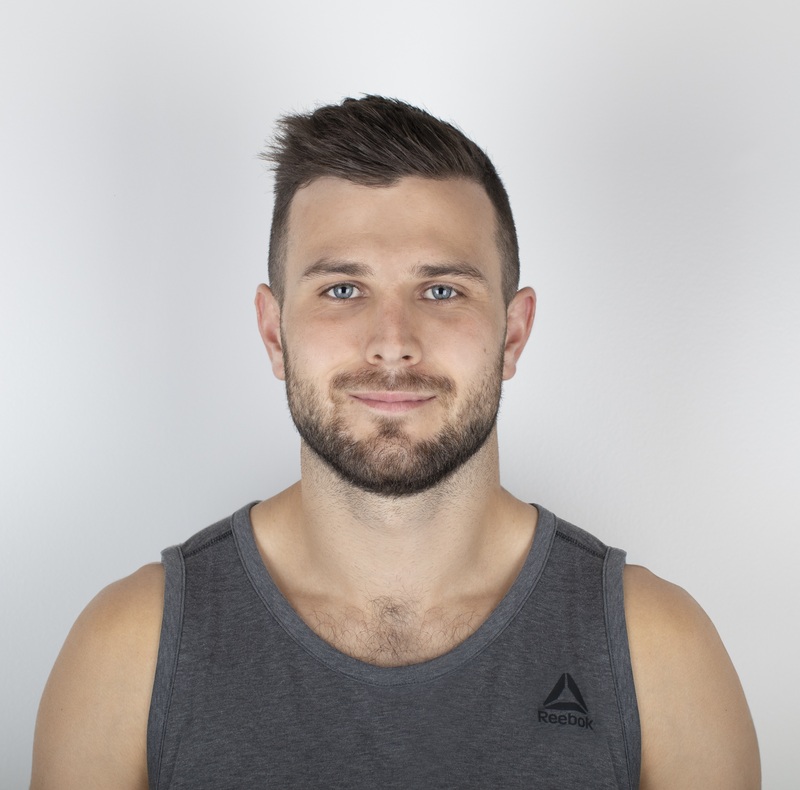 I am so grateful that I crossed paths with Stefan and would not hesitate to recommend him to anyone, whether they be starting out or already well on their way to kicking their goals, and if you aren’t using iNutrition Pro for your clients, you need to be! Thank you Stefan, on both a professional and a personal level I would not be where I am today without you. Over the last year I have done several course in person, the iNutrition Pro Online Certification and multiple one on one mentoring sessions going over business, sales and training techniques with Stefan as well as training with him myself. I have learnt a lot about the best ways to train clients with different needs and also the best ways to deal with clients who find it a bit harder to get themselves in the gym and sticking to a nutrition plan. In the last 3 months since I got back into to personal training I can honestly say that I am a lot more confident in my sales and my product, as a result I have got my clients quicker and better results than ever before. "I attended the level 1 course in 2015 in Toronto which was taught by Stefan and I was overwhelmed with the high quality information that was given. I was hoping to continue with level 2 but that never came this direction again so I was happy to see there was an online course available. I can't wait to continue where I left off in 2015. Top notch!!" 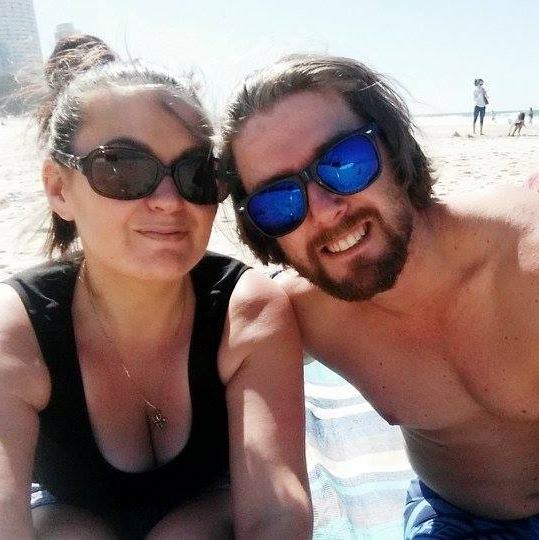 "My partner Melody and I have struggled for years with understanding the nutritional requirements for not only ourselves but for our clients as well. With the help and guidance of Stefan & Clair, as well as completing the iNutiriton Pro course, we now have the tools and understanding needed to help our clients and ourselves." We cannot thank you guys enough." "I have been taught by Stefan during several courses. Stefan is a true professional and it shows with the detail in his work. I was blown away with the level of knowledge that he has and also with his ability to relay this knowledge to the level of the person he is educating." 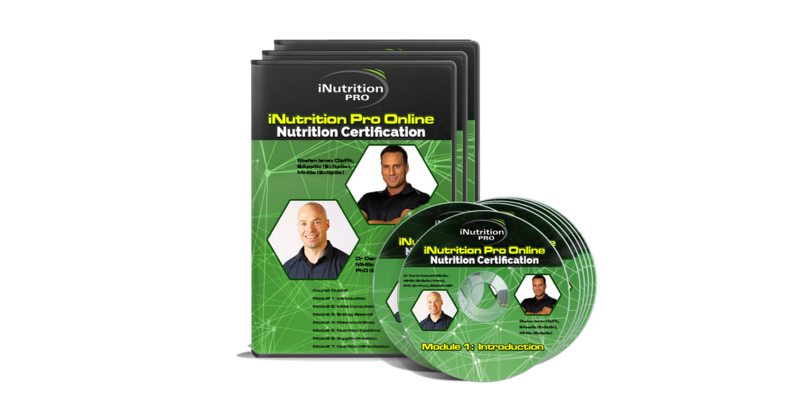 The iNutrition Pro software is a cutting edge online platform that allows health and fitness professionals to create diet plans in minutes as well as to effectively screen and monitor their clients. 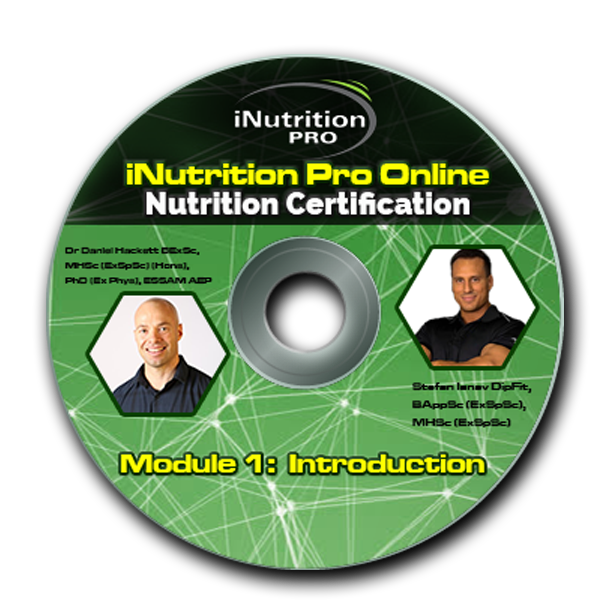 When you purchase the iNutrition Pro online nutrition certification you will get access to our private Facebook members forum where you can ask us any questions relating to the course material. As part of the iNutrition Pro online certification you will receive lifetime updates to the course material that you can access immediately online. 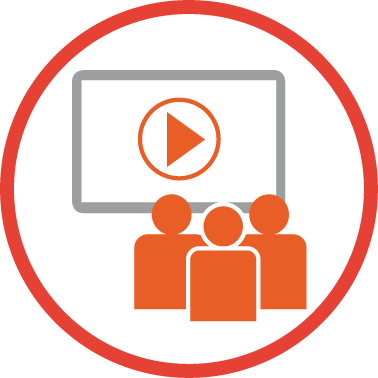 You will also get access to training webinar recordings that you can watch anytime online. You will have a full 60 days to complete the iNutrition Pro Online Nutrition Certification and put the iNutrition Pro software to the test. If for any reason in that time you wish to cancel your membership just send us an email and we'll issue you a full and prompt refund. 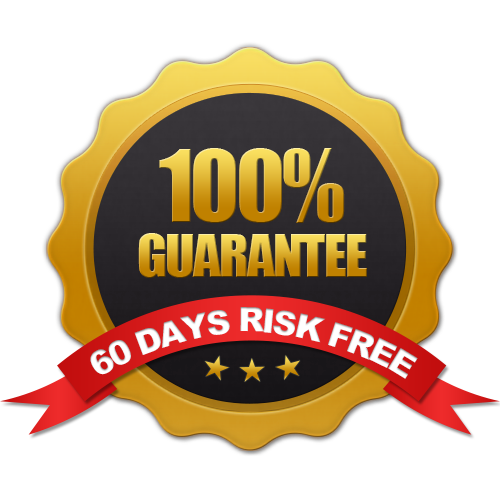 Get Instant Assess For Only $1101 $667 Today! How long does it takes to complete the certification? 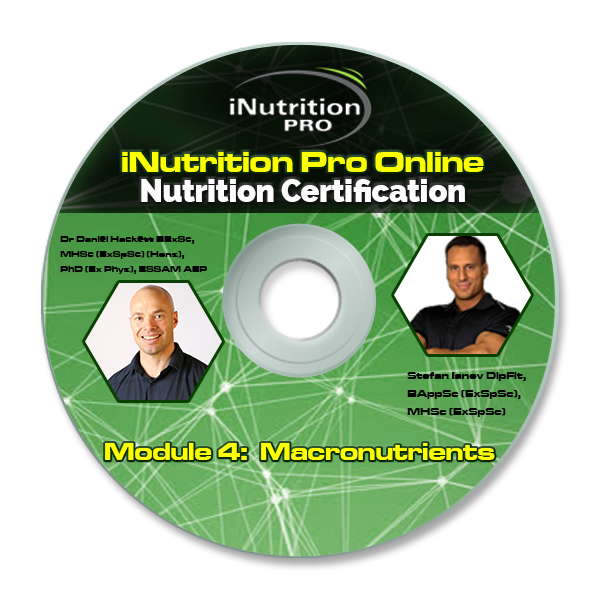 The iNutrition Pro online nutrition certification takes approximately 8 hours to complete. Each module takes approximately an hour and consists an online video tutorial, supplementary lecture notes, and a series short questions and answers. ﻿Do I have to wait for anything to be sent in the mail? No nothing gets sent in the mail. You will get instant online access to all the course material and future updates when you purchase the course. Do I have to sit an exam as part of the certification? Yes. The final exam consists of 50 multiple choice and TRUE or FALSE questions. The pass grade is 80% and you get 2 attempts. Will I receive a certificate when I pass the exam? Yes. You will be able to instantly download a PDF of your certificate of completion as soon as you pass the final exam. What happens if I do not pass the final exam after 2 attempts? If you do not pass the final exam after 2 attempts you will need to contact our support team from the help desk to a arrange a resit, and a $50 resit fee will apply. If I have any questions about the course content is there someone I can speak with? Yes. You can contact our support team form the help desk or ask us any questions relating to the course content in our private Facebook members forum.